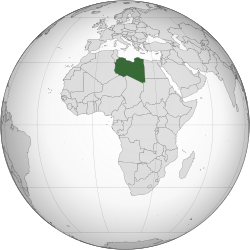 Libya is a country in northern Africa. The capital and largest city is Tripoli. It is bordered by the Mediterranean Sea to the north, Tunisia to the northwest, Algeria and Niger to the southwest, Chad and Sudan to the southeast, and Egypt to the east. This page was last edited on 27 June 2014, at 04:37.